These light pink shorts were ten dollars. That's right, you read correctly, ten dollars. I must say, the past couple of times I've been to Forever 21 I hit the jackpot. You are officially looking at one of my favorite pairs of shoes. They're completely studded. Studded to the point that I actually cut my ankle twice when I took a misstep. Whatever, beauty is pain right? I guess in this case, style is pain. I'm glad I was able to find these affordable Jeffrey Campbell ones as I was seriously lusting over the Christian Louboutin's. That would have been a disaster of epic proportions (for my wallet that is). The BF and I just got to the Hamptons after two hours of driving (and by driving, I mean me driving... I'm exhausted). Although it was brutally hot today, it wasn't hot enough to include in my meh list. Therefore I only have one meh moment of the day. 1) General Hospital being cut short for a weather advisory (thank you, I already know it's scorching outside. Get back to my soaps please)! I've never been much of a soap person -- I remember when I was a kid, I was always annoyed with the dim lighting haha! 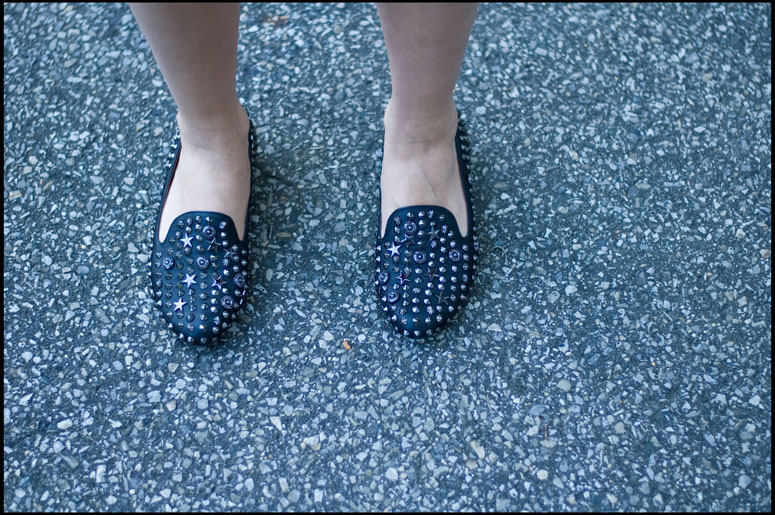 I'm loving these studded loafers + PS1. Two things I heart Van Halen and McFlurries, we are like blogger twins! Have a fun weekend! Ok I think this is my fave look yet. Congrats on getting those cute pinkie shorts for ten clams. (I gotta get me to F21!) 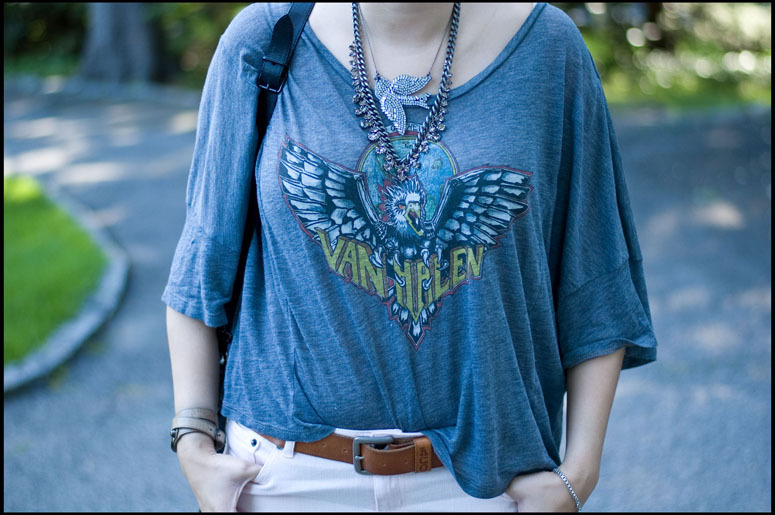 Love the other pieces too: slouchy rock tee, shoes, etc. love your shoes and the bag!! Dude when I saw this post I was like I'm glad someone else appreciates a great deal!! I have bright coral shorts from f21 from last summer that I got for 10$ also. ps: I'm happy I'm not the only person still watching GH! those shoes are so hot.. and i think i am in love with your bag! WANT those Jeffery Campbell loafers! !